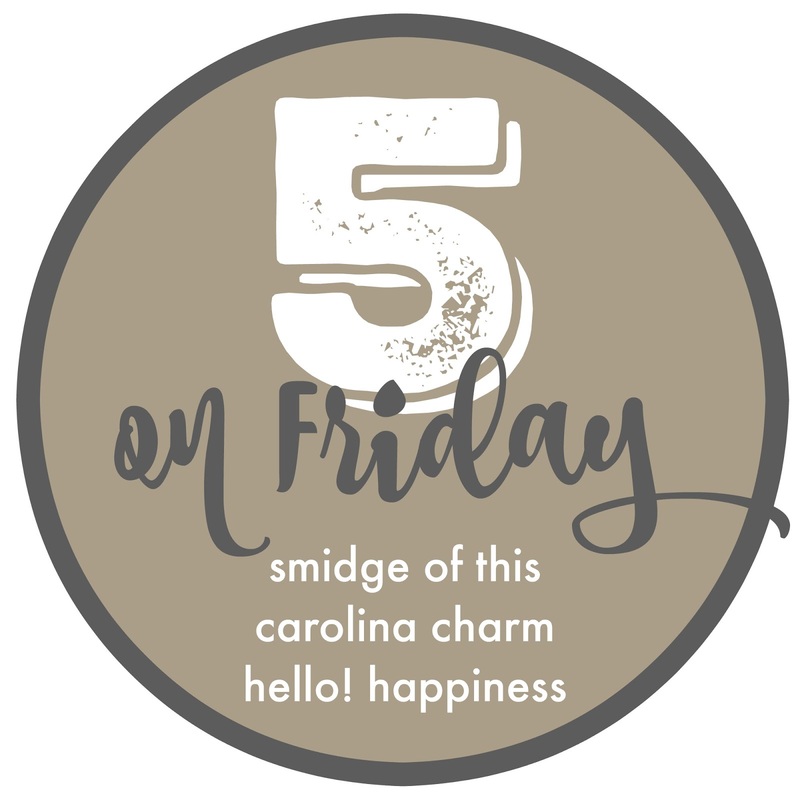 SMIDGE OF THIS: Five On Friday: Bathroom Renovation Update! Five On Friday: Bathroom Renovation Update! This week is all about our master bathroom renovation updates! We first started demo on July 3rd, and I felt like everything was going SO fast, and the momentum kept up, and then all of the sudden ... sllooooooowww. Some were factors in my control (I procrastinated on some decisions) and some were not ... just typical construction stuff. But I think I see the light at the end of the tunnel -- and we may just may be done in a little more than a week or so?! Earlier this week I went to In Style to approve the placement of the cuts on the countertop remnant we found. I'm so in love with it. 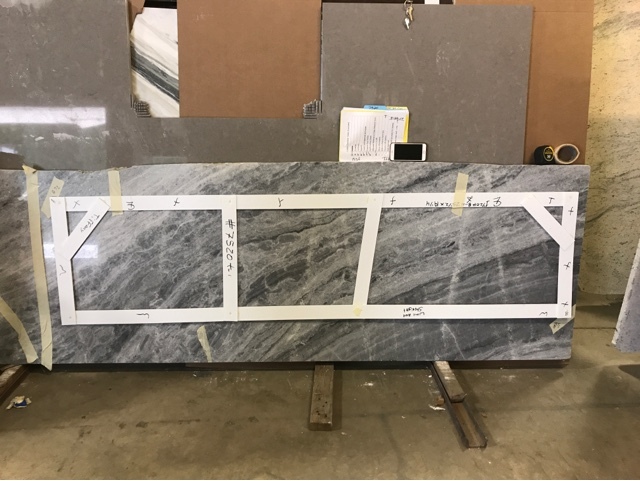 It's a great medium gray quartzite/marble with lots of gorgeous movement. Looks like installation will be this coming Monday! We are looking for a medium gray wall color ... anyone have good suggestions? Agreeable Gray by Sherwin Williams was WAY too light for the walls when I put up a few swatches. It washed out the tile, so we are looking for something that will highlight the pretty tile veining a little more. Our designer said that Benjamin Moore had the prettiest grays. Any recs? The big statement light for over our tub is ordered and on the way! I'm so excited ... waiting for it has definitely delayed some progress (tub can't be installed until it is), but ultimately I think the wait will be okay because of the WOW factor it will give. Local Charlotte friends ... we ordered it through Blankenships. 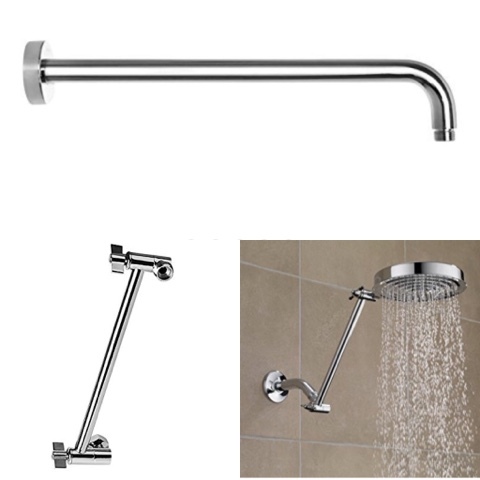 We have a fun big square showerhead and need an extended arm to go along with it. We have two options ... one that goes straight out, and one that is adjustable and would allow the showerhead to sit a little higher. Which one, which one?! I have used BM Smoke Embers and it is a perfect light gray but has enough tone to make it stand out. This is my bathroom color and I love it! It was so hard to choose, but this one was perfect. 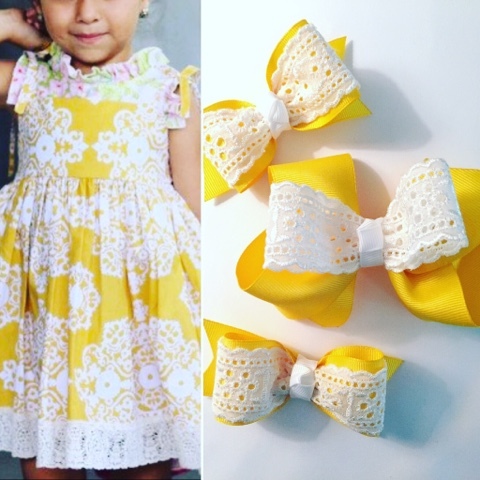 We used the Ben Moore Williamsburg line and LOVE it. The one grey is called lamp black, but I promise it is grey! Your bathroom is going to be gorgeous! I love all the gray tones! For the shower head, I think I would like the adjustable height. Have a wonderful weekend! Ohhhh those are good grays for sure! Straight shower head - a little more sleek and modern but you can't go wrong with either! We went with Sherwin Williams colors so I'm not sure about the others. I loved Cityscape- it's a darker gray that we actually used as an accent color on our exterior around our windows. And we went with SW Mindful Gray for almost all of our interior walls. I also liked SW Repose Gray. Your bathroom is going to look amazing! Your bathroom is going to be GORGEOUS!!!! Have a great weekend! LOVE that counter. Future inspiration for us when we can finally spend the $$ to redo our crazy master bathroom. Personally, I like the look of the straight shower head a little better but I think the functionality of the adjustable shower head would win out for me. 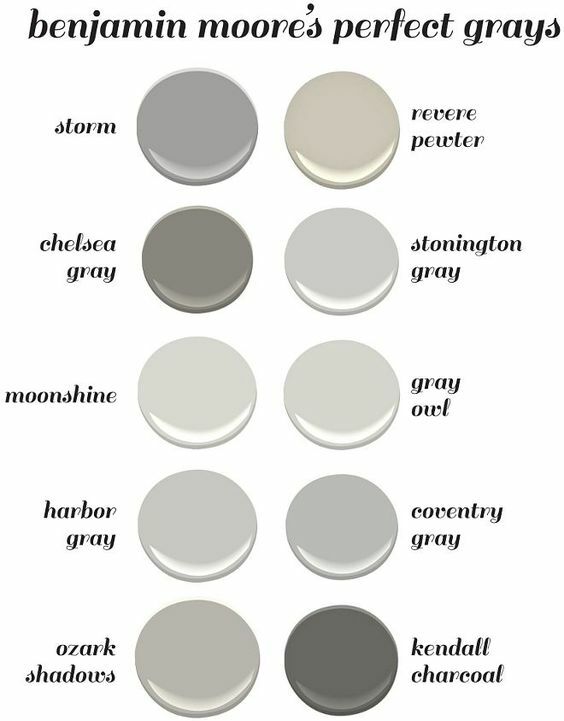 I was really torn between Classic Gray, Gray Owl and Stonington Gray. Good luck! Your renovation has been fun to read about. My entire home is painted Benjamin Moore Gray Owl and we are very happy with it. 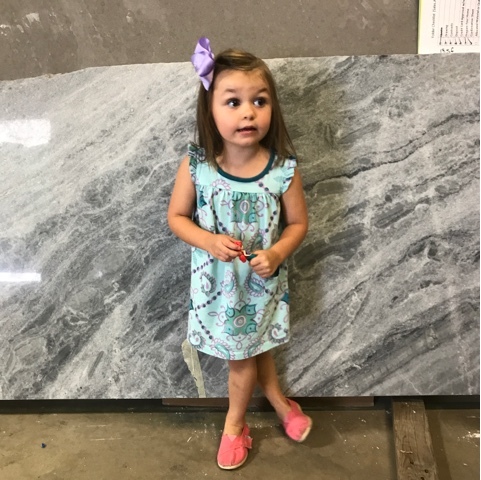 Our counters, floors, and cabinetry colorways are all very similar to what you have. I will say in some light it can almost look blue but that works for our home. Do you have any natural light in your bathroom? I don't remember. So exciting!! It's all coming together so nicely! I can't wait to see the finished product. I love the quartz! We went with quartz in our house and I've been so happy with it -- not much to worry about as far as wear and tear. I like the angled shower head! With marble top. Check it out and see if it works for you! I love love how it turned out for us! My bathroom is BM Smoke Embers as well and I absolutely love it! It's a true grey with no beige, which is exactly what I wanted. Not too dark, but not too light! Lawter's nursery was BM Stonington Gray if you care to look back through posts for example. It's definitely on the lighter side but we loved it. We matched it to Glidden Concentrated Chromium for an inexpensive version to do on the rest of the rooms, and have now painted all bedrooms in our new house the same. Good luck! i have a bathroom in gray owl. it's amazing. changes tones in different lights. not cementy at all. We have Amazing Gray by Sherwin Williams in our master bedroom/bath and love it. Love following along with your bathroom remodel. We want to do something similar one day soon. We have Revere Pewter in the nursery and guest room, but it veers brown - it's TRULY neutral, so it might not work with your gray-focused room! Just fyi :) I can snap you some pictures of it if you like! We have SW Anew Grey in our home and LOVE it! And I would definitely say the adjustable shower extender! all your reno stuff is so exciting!!! can't wait to see the final products in all your pretty rooms!! Off topic comment? :) We're coming to Charlotte this weekend for the PGA (SO psyched) and are staying in an AirBNB slightly south of downtown - near the Bland Lightrail Station? Any super cool breweries or restaurants you know if that area we must hit? Thanks!! I'm currently looking for a gray for our living room! We used Behr Marquee Intercoastal Gray in our bedroom and I LOVE it. I want something a little lighter for the living room but I'm thinking I might just ask them to do that with only 50% pigmentation. The counter is gorgeous! Our Master Bathroom Reno: The Finish Line?